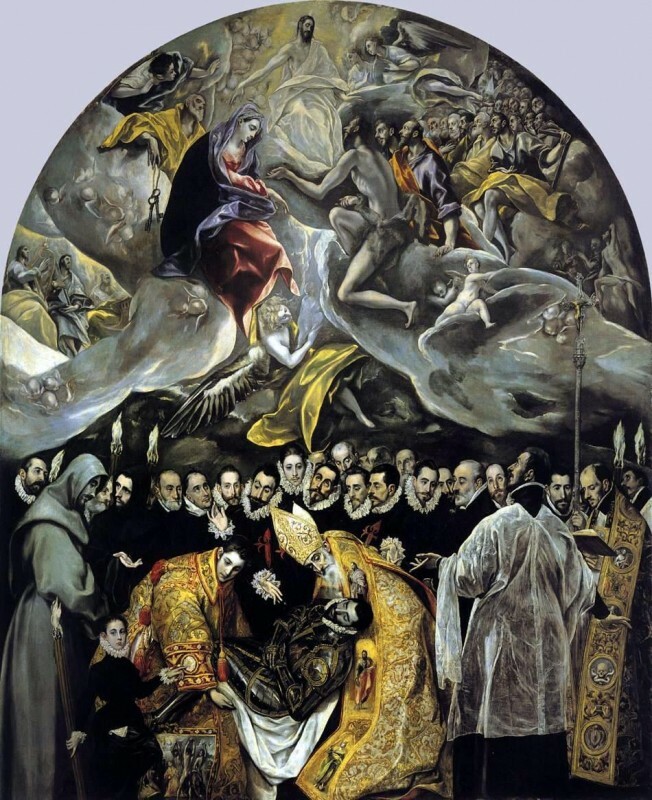 The Burial of Count Orgaz by El Greco from 1586 is considered El Grecos finest work. Its appeal to pious fervor of the Spanish Reformation efforts should be very evident. The legend has it Saint Stephen and Saint Augustine miraculously descended down from heaven to bury the Count, about 3 centuries prior to the painting, in the church where it was commissioned to reside: Church of Santo Tomé in Toledo. El Greco is an interesting painter because he draws from so many stylistic sources. 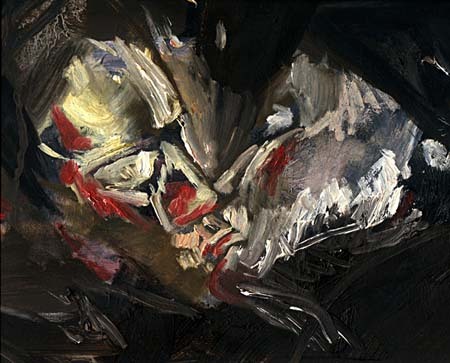 The Venetian school is represented in the rich clothing, but the abstractness shift the style towards Mannerism, his usual classification. The elongated limbs, undefined space, and cool light can only be explained by his connection with Titian’s workshop, and Titian’s student, Tintoretto.